Our decorative wooden panels and decorative wood ceiling panels are environmentally friendly, recyclable materials made of wood wool, cement and water. Our decorative wooden panels are environmentally friendly, recyclable materials made of wood wool, cement and water. These natural ingredients together enable many functional features. The decorative panels are available in 5 patterns: quilting, checking, stripes, lines, diagonal and hexagon tiles. They are designed for infinity. 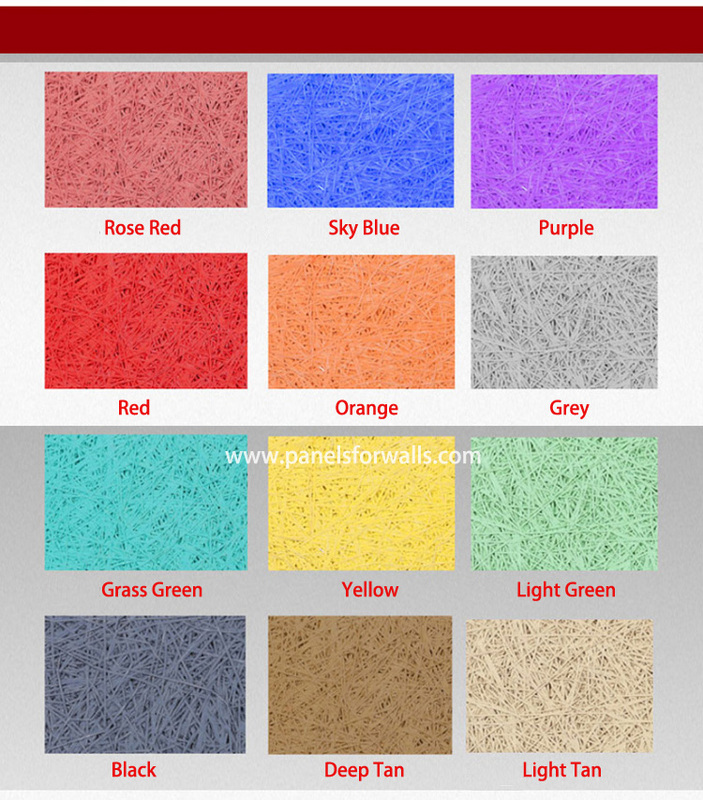 Decorative wooden panel is an environmentally friendly, recyclable material made of wood fiber, cement and water, so the panels inherit many special features of these raw materials. 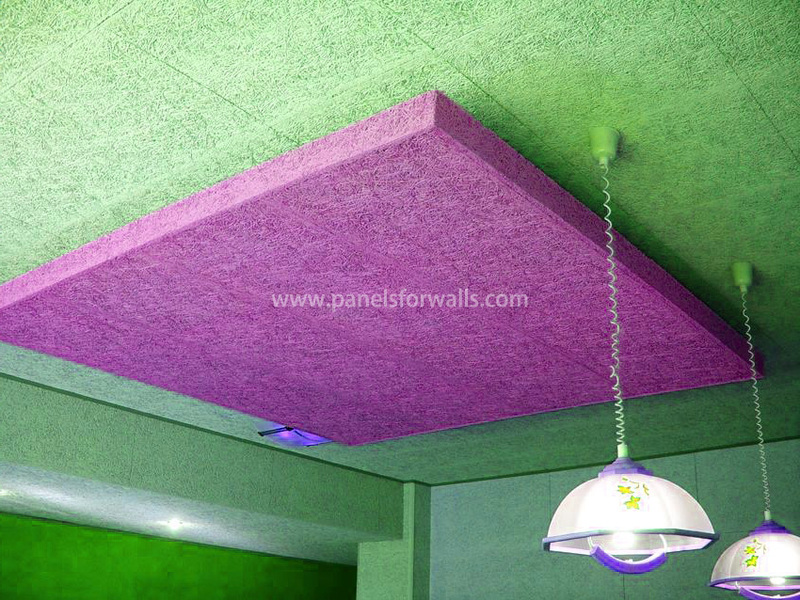 They can be used as both decorative wood ceiling panels and decorative wooden panels for walls. Tests show that our decorative wooden panels have little emissions. The widely use of the product in restaurants and other sensitive environments indicates that the board will not emit dust or particles. They are easy to clean with vacuum tool. The open micro holes structure of decorative wooden wall panels reduces the reflection of the sound, making it a good acoustic absorber. The material reduces noise and helps to create quiet acoustic space in residential buildings, industrial sites and public places. The wooden panelling for interior walls are moisture-proofing and they eliminate air humidity by absorbing moisture from ambient air or release moisture into ambient air, which helps to maintain pleasant and healthy indoor climate. The panel is not affected by rot or mould. Decorative wooden panels are flame retardant materials that have a Class B rating under China standard which equals to EN 13501. Wall wooden panelling stores heat from the surrounding air and release when the air temperature drops. This results in reducing energy costs, reducing environmental impact and indoor comfortable climate. Light colors make the room look bigger and brighter, while dark colors are sophisticated and warm. Orange is an energetic color that evokes excitement and enthusiasm. Green color is regarded the most restful color for the eye. Red means excitement and has been shown to increase blood pressure. Blue help to get calm and relaxed. They can also lower blood pressure.